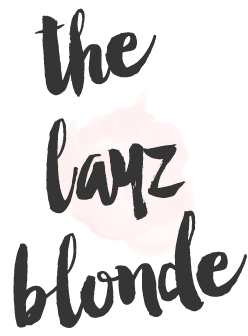 the layz blonde : easiest holiday mani ever! 1-Apply your base color in a sheer layer. *tip; always wash and dry your nails before applying any color. This helps so much! 2-Next go in with one of the colors starting under the white part of your nail and working across in the an upward motion, making a long triangle. 3-Then use the other color and work in the opposite direction! I repeated steps 2 & 3 again to get an even, opaque shade. If you recreate this mani, use hashtag; #thelayzblondenails so I can see! Let me know what color you’re rocking on your nails in the comments! I never do my nails because they get ruined almost immediately but these look so easy and cute! Tip for that; make sure you aren't putting the polish on too thick. Most of the time that's the issue cause they feel dry, but haven't settled, xo! This is so cute and creative! I will have to try it out!! Thanks! I hope you do, xo!